Dr. Hekmatyar received his undergraduate degree in Biochemistry from the University of Cincinnati. In 1993 he graduated from Temple University School of Dentistry. 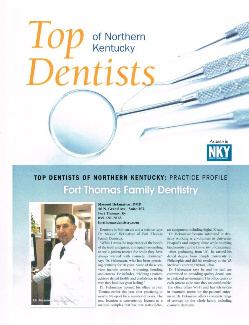 After graduation, Dr. Hekmatyar completed general practice dental residency at the Veterans Medical Center in Dayton, Ohio. Dr. Hekmatyar has been in practice for 22 years. He is a member of the Academy of General Dentistry (AGD). When not practicing dentistry, Dr. Hekmatyar enjoys spending time with his wife Sherry and their son, Alex. Hygienist, Raymie, received her degree in Dental Hygiene from Ferris State University in Big Rapids, Michigan. She also earned an associate degree in Natural Resources and a Bachelors degree in Biology from Lake Superior State University. Raymie has been practicing dental hygiene with our office for 11 years. Hygienist, Devon, received her Associate of Applied Science in Dental Hygiene from the University of Cincinnati. Devon was awarded the Ronald W. Krantz Memorial Award for overall excellence in dental hygiene studies. Hygienist, Ashley, received her Associate of Applied Science in Dental Hygiene from Grand Rapids Community College. Ashley has volunteered her time working on the “Miles of Smile Bus” which travels to schools providing dental care to children in need. Ashley also specializes in pediatric dental hygiene. Raymie, Devon, and Ashley are members of the American Dental Hygiene Association. As active members of the community, they have volunteered their time providing dental care and helping educate those in need the importance of dental hygiene. 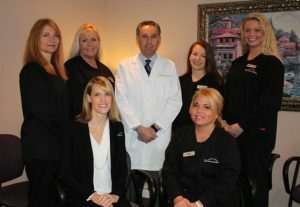 They are known for providing patients with personal and gentle care. Raymie, Devon, and Ashley are committed to helping patients obtain their best oral hygiene possible through education and prevention with an emphasis on home care. Our chairside assistants Lisa and Tina have been trained in all aspects of dentistry. 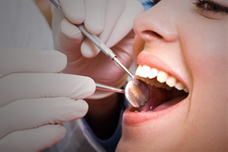 They always strive to make patients comfortable and to have a pleasant dental experience. They provide personal care to suit each patient’s needs. Our friendly front office staff, Krista, and Kim are always available to assist patients with treatment planning and financing needs. They have many years of experience in the dental field and are dedicated to providing patients with excellent customer service and maximizing the use of their dental benefits.